Selamat Jarin! Your world is quickly preparing for a surprise that is to truly shock all! The Light has been forced to wait for the proper time in which to strike. At present, the dark and its main minions associated with the regime known as USA, Inc. have been given a certain degree of leeway. This has allowed them to engage in some skullduggery on a global scale. The Light is prepared to conclude this odd part of your history. The dark believes that the Light is incapable of launching the type of massive counterattack required to put a quick end to their shenanigans. Meanwhile, our fleet has been ordered by Heaven to do exactly that. In our case, it is to be surreptitious, which is covered by the joint actions of a number of friendly military forces. These joint actions have previously been able to limit the reach of the dark’s sponsored terrorist forces. The aim is to eventually cut off and finally debilitate those dark elements that seek to maintain instability in some areas on your globe. 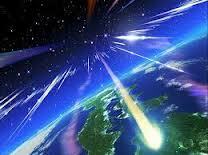 Meanwhile, the Light is readying its attacks that are to finally take down USA, Inc. and its numerous allies. The funds that have been carefully secured and properly registered are now ready to be delivered to you at the right moment. These projects have taken much longer than were previously anticipated. The dark’s degree of infiltration of the banks and their many associated elements were in fact much greater than at first surmised by our earthly allies. Nevertheless, these previous roadblocks are handled and this makes it possible to do many things. It is essential that NESARA governance be instituted and able to become the strong sentinel for a number of important projects. The first is to completely reform the misused and highly corrupted US government. This quiet revolution ends the evil influence of this dark governance to maintain war and conflict in key parts of your globe, namely the Middle East and Latin America! We are then also to be able to introduce global stability and prosperity. Along with this, there is the end to the global UFO cover-up. This can permit us to be able to talk directly to you about first contact and our mentoring program. The dark has long believed that we did not fully appreciate how vast and deep was the inculcation of humanity by the dark Anunnaki before their demise in the mid-1990s. We were instructed by our new allies on just these points before the Treaty of Anchara took place in the mid-1990s. We knew firsthand how deeply into your psyche their propaganda had gone. The first thing was to work with both Heaven and our new associates to begin to counteract what for millennia had been put into each newborn’s head and mind. 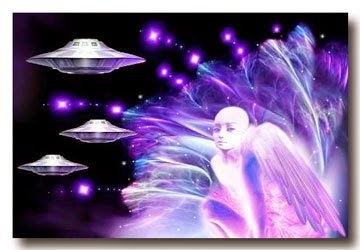 The new starseeds being born were slowly contradicting these dark “norms.” In addition, many were beginning to instruct humanity about what this evil propaganda implied and why it was wrong. This led to a series of brave law- suits and other means to alter this accumulated nonsense and exchange it for a truer and more viable reality. It is these wondrous projects that now enable you to replace USA, Inc and create a new financial system that can work side by side with your new prosperity. Our desire is thus to bring to a conclusion a set of false beliefs that have made it possible for the dark and its minions to control you for nearly 13 millennia. The key to this is the vast growth in your consciousness. This one element has made you more able to support the Light and its numerous actions to end the power of the dark and its minions on this surface realm. This point has become the primary action. Permitting the NESARA governance to come to power is truly essential to our success. On this matter, we have sent out our liaisons to confer daily with our allies and put together a jointly sponsored action that is now on the very verge of success. A number of actions are taking place that promise us the much-desired point of final success. The dark has been a most elusive enemy. It has created delays that we initially believed impossible. This latent resilience has been factored into our strategy. We intend to announce shortly that we have succeeded. With that under control, we can secure this realm for the much-needed lessons of your Ascended Masters! Blessings! We are your Ascended Masters! The world, as you now know it, is changing. This positive alteration is due to the great set of visions that you have held collectively with us. We are quite proud of the degree of focus that many of you have retained over the past few months. These energies demonstrate what Heaven had in mind when this whole process began in the early 1990s. You have discovered your powers and use them to aid our mutual cause. In the past month, many more have started to show this same resolve. These operations demonstrate just how powerful you are becoming, as you use your abilities and work to bring these wondrous meditations to the fore. They are greatly helping each of us Masters to increase the change that is coming to this reality. The dark, too, has noticed you and is more and more realizing that its many desires are now beyond redemption. The end of these millennia is now in sight! Hosanna! Hosanna! Each of you is a joy to our collective hearts. We realize how far you have come in these past two decades! You are on a road to success that is to bring you to a return to full consciousness. This process has taken a lot less time than initially envisioned by our associates. Hence, it is wise to inform you of these changes and to ask you to continue to go within, focus and use your visualizations to accelerate your progress. You are, dear Hearts, a wondrous group that is only beginning to show your vast potential. The next major rounds of changes by Heaven are to further accelerate your mental and emotional abilities. As you know, your heart is a vast electrical center that in many cases rivals your brain. This process is to continue as you take on changes to your brain’s chakras and to your heart. These are to celebrate your new-found potential and better prepare you to meet your galactic mentors. These changes are to be combined with new knowledge that we are destined to impart. Long ago a series of heinous experiments in Atlantis left your ancestors suddenly adrift in amnesia. Everything that you thought you knew suddenly seemed beyond your grasp. Our task is shortly to remind you of what your ancestors lost and to show you how to regain it. Then there is the process of reunion with your cousins, the Agarthans. You are close to meeting them and are to go to Agartha with your mentors and your heavenly guardians and use your Crystal Light Chambers to finish your return to full consciousness. 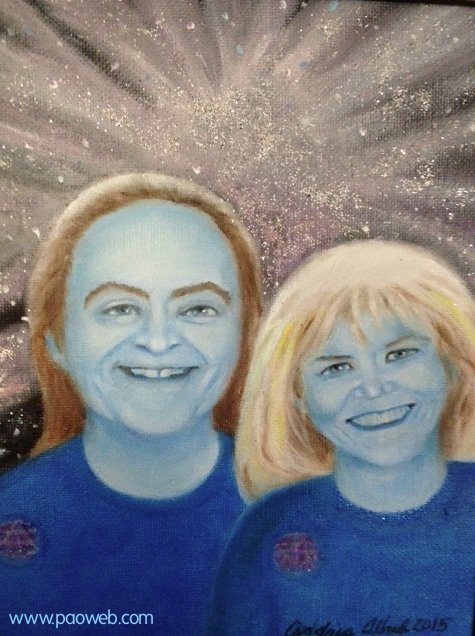 We look forward in glee to your joining us in a final conference to set up a new star nation and go forth with sacred missions given to us all by Heaven’s divine grace! Today, we continued our report on what is occurring around this globe. 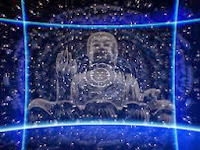 Much progress is being made to set up your prosperity and create NESARA governance. We fully expect this coming time to be one that can finally mirror what we have told you previously. Know, dear Ones, that the countless Supply and never-ending Prosperity of Heaven are indeed yours! So Be It!